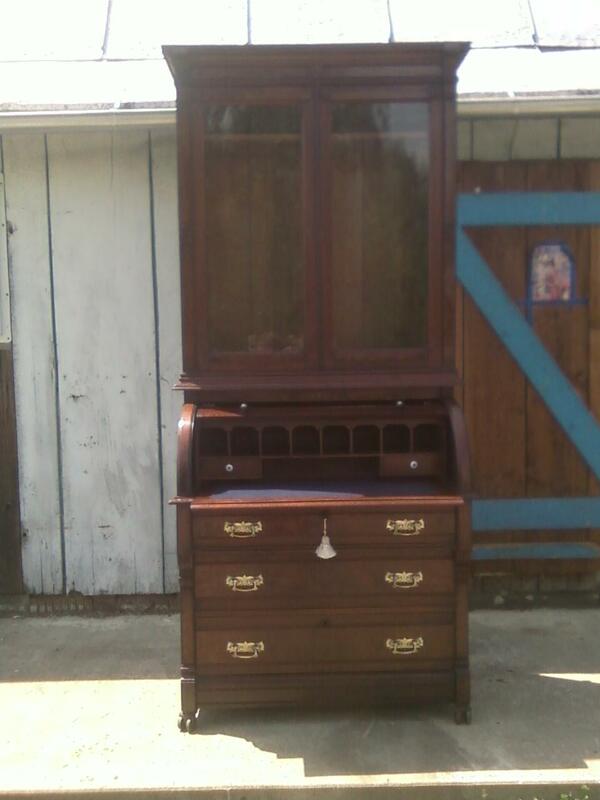 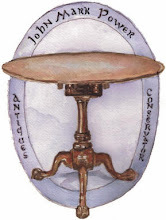 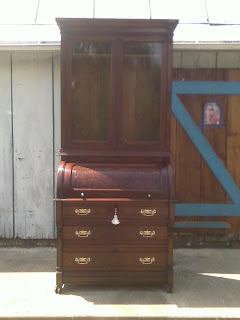 Above is a photo of an Eastlake cylinder secretary desk that I recently restored. 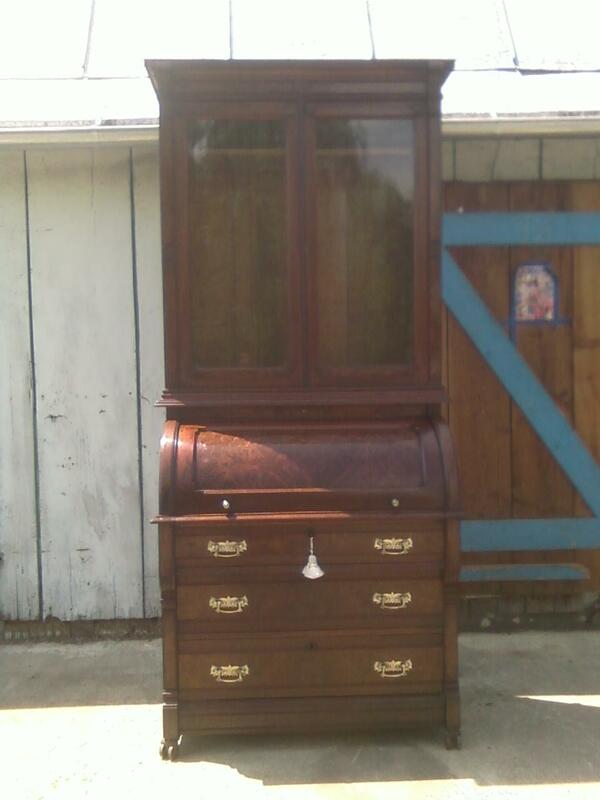 The piece dates to around 1880 and most likely comes from the south east United States. The case is Walnut with Walnut burl veneer accents and the secondary wood is poplar. 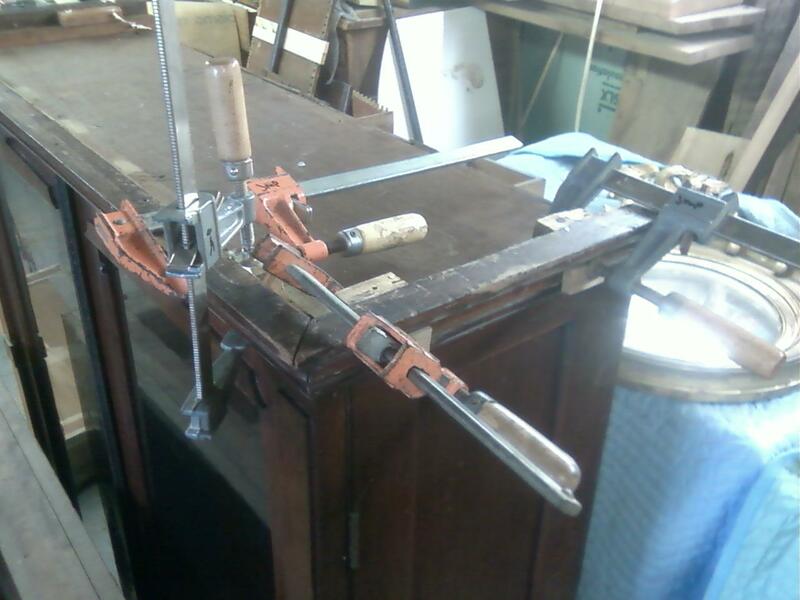 the drawer joinery is a Knapp joint which puts the manufacture of the piece between 1871 and 1900. 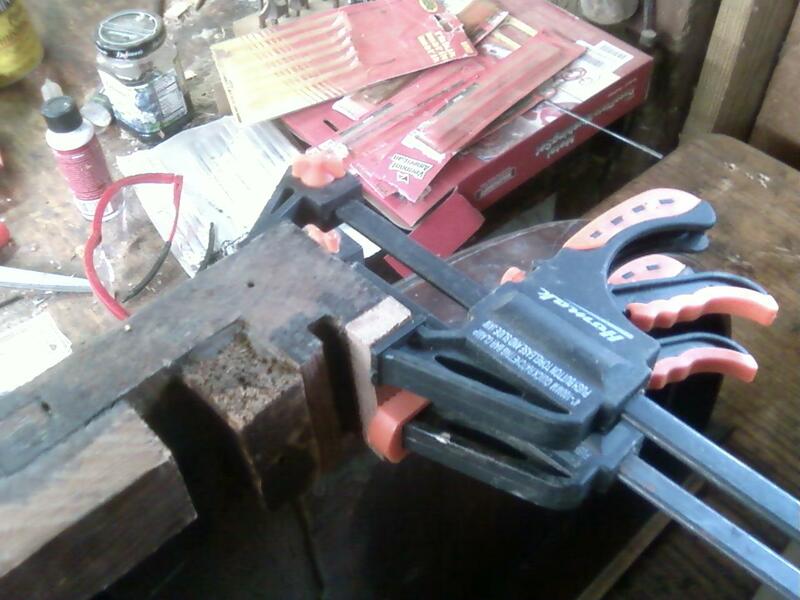 Below is a photo of the Knapp joint found on the side of the drawer. The finish on the piece was in pretty good shape but the case had many problems which the owner wanted to be addressed. 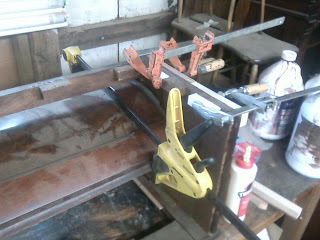 The major problems were the drawer runners being broken and the cylinder joinery being loose and not working properly. 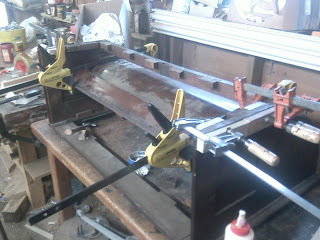 My task was to get the piece to function well and to clean and wax the finish. Below are some photos of this work. 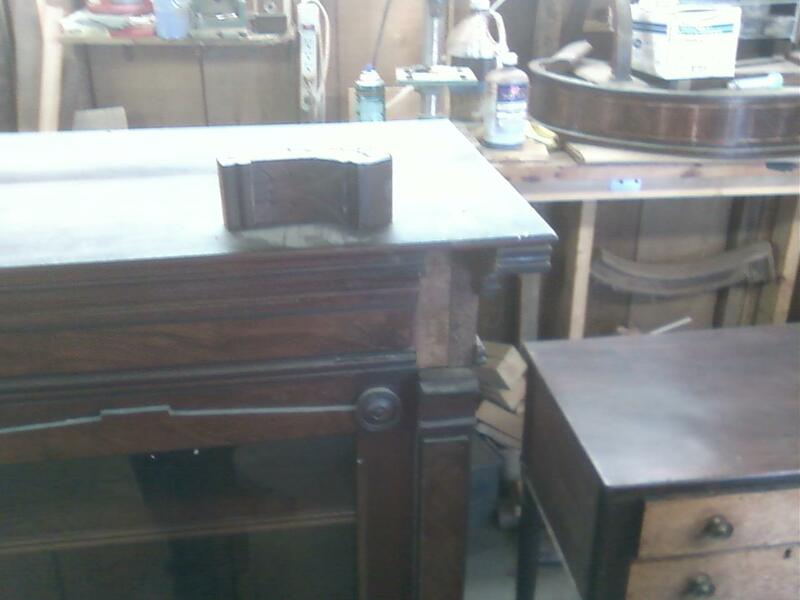 The next two photos show patching missing sections of the cylinder desk section of the piece. This photo shows the cylinder section being glued up. 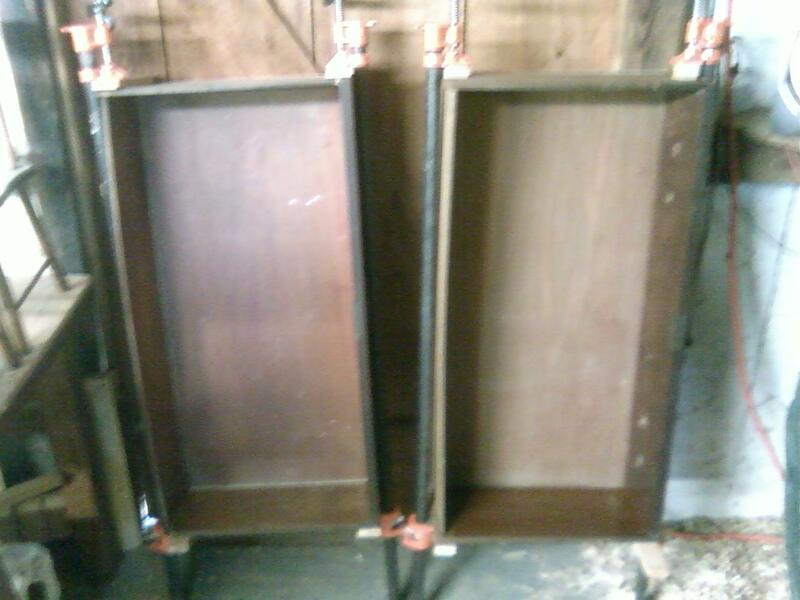 The next two photos show the cylinder door being glued and missing blocking being replaced on the cylinder section. 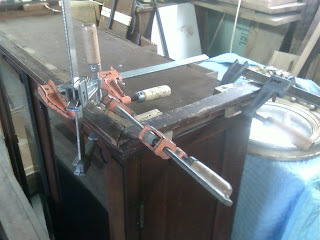 This photo shows the letter compartment section being glued up. In this photo you can see three of the drawer sides being glued up at once. 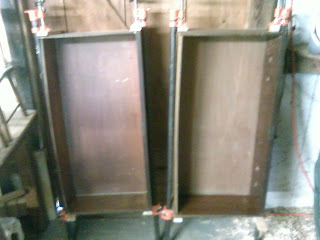 Each side was broken above where the bottom slides in place. When this happens, the drawer needs to be disassembled and the broken portion cut off. after this is done the new wood is added and afterwards cut to receive the dovetails and the drawer bottom. 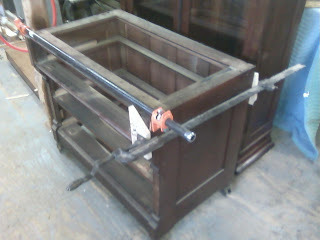 This photo shows runner materiel being added to the drawers. 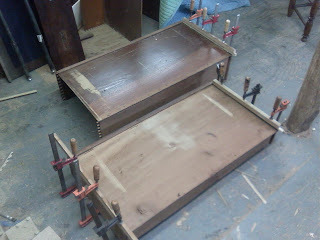 Here are two drawers being re-assembled. In this photo the bottom section is being tightened. 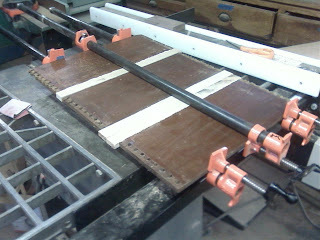 This photo shows molding being glued in place on the bottom of the top section. this molding is the only part which is not original. 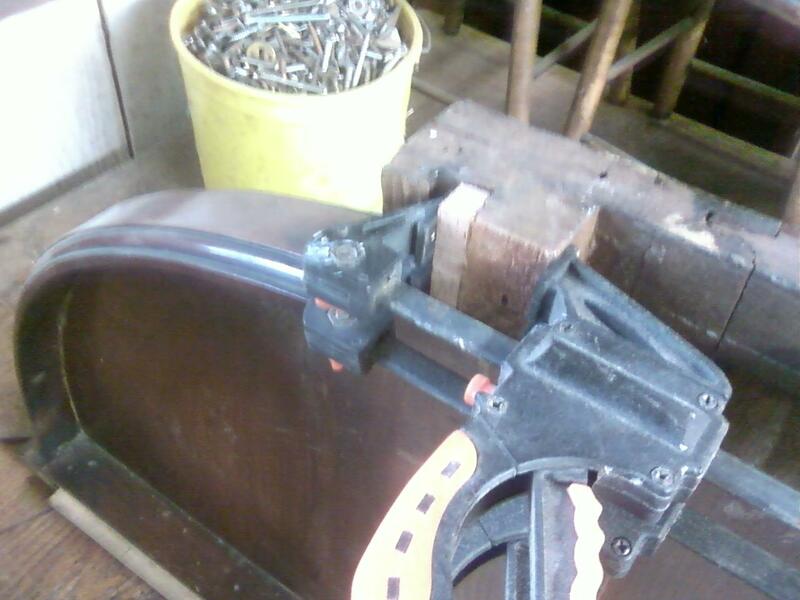 Originally, the top section was glued to the cylinder section. The molding was probably added to the top section to add some height and to make it a separate unit from the middle. 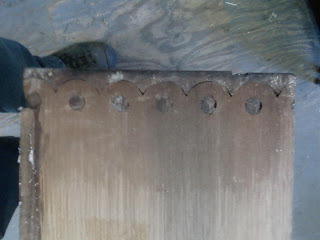 This photo shows a loose carving which was latter glued in place. 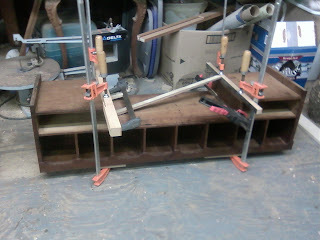 Here is a photo of the hardware. 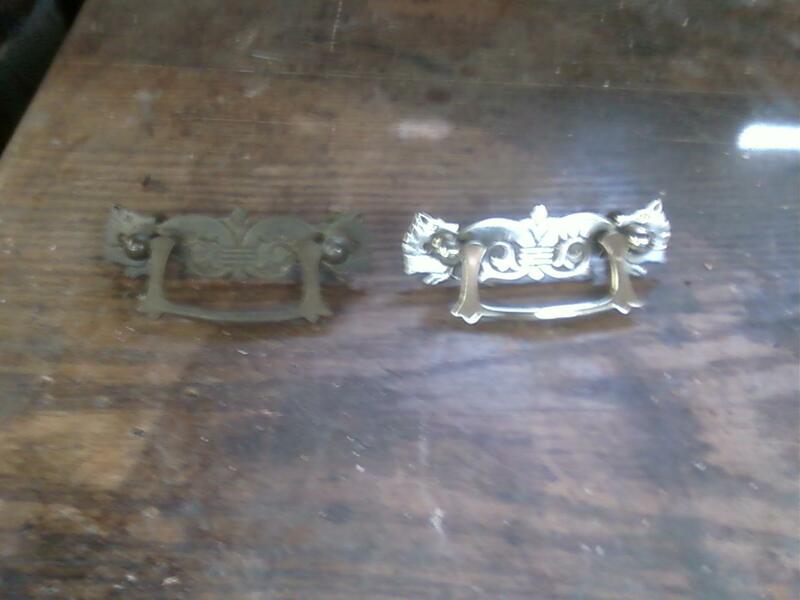 the pull on the left is the way it came and the one on the right is seen after polishing. Here are two photos of the completed desk. the first shows it with the lid open. 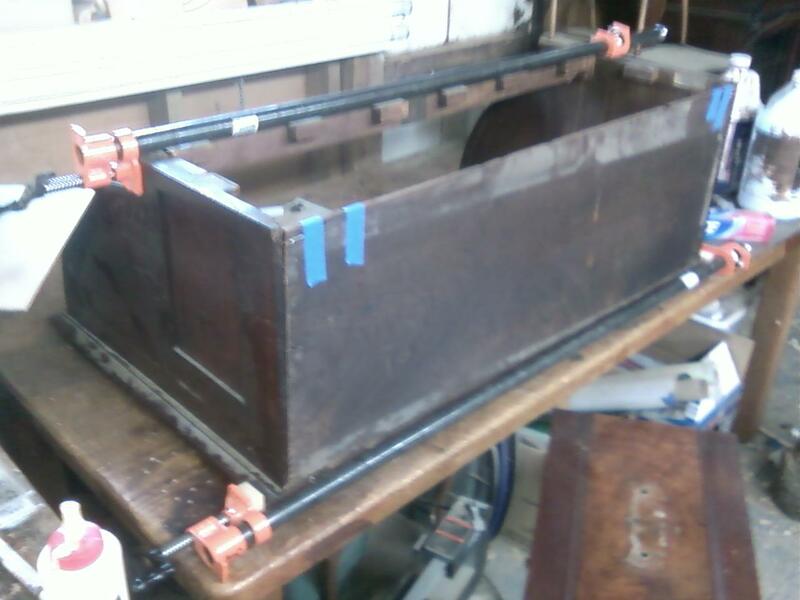 How can one get the cylinder out from an intact case?